We introduce frequently asked questions and their answers by customer. Please help us when you are in trouble, when you get lost. What is a game asset? Game assets are materials created for the benefit of making games. Game assets generally include the following. These various items are provided as assets for the purpose of making games. I don’t have any experience, will I still be able to make a game? Even without advanced game development knowledge, by using Unity you can quickly get 3D objects moving on the screen. And since the included substantial sample game can be modified, it’s possible to create a game of your own. If you want to try making a full scale game on your own, Unity is a great place to begin. Can a game made using modified versions these assets be distributed and sold? Please feel free to modify these assets as you like. In addition you are free to sell and distribute games developed with these assets. However, redistributing or selling these assets is prohibited. We appreciate your understanding on this matter. 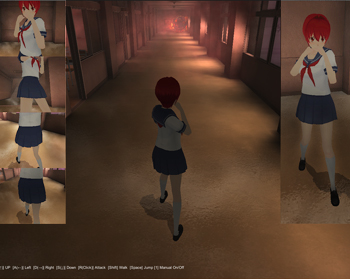 Along with the game assets, the sample project can also be modified. Are there any genre or other restrictions on on how these assets can be used? These assets can be used in any genre of game. In addition, it doesn’t even have to be a game. The possibilities are endless. Unleash your imagination! Where can I buy GameAssetStudio’s game assets? You can buy GameAssetStudio’s game assets from the Unity Asset Store site operated by Unity. I’m concerned about using my credit card, is there another way to purchase the assets? In the Unity Asset Store, credit card is not the only payment method. PayPal can also be used as a payment method. For PayPal, please click here(paypal WebSite). I want to buy the assets but the price is in US Dollars. Is it possible to purchase with another currency? The payment needs to be in US dollars. Currently you cannot use other currencies. 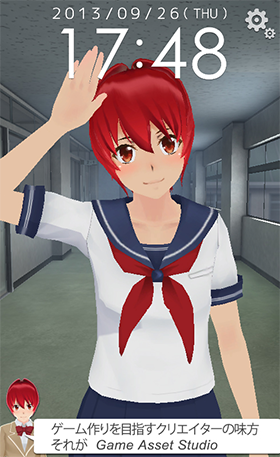 However, paypal can be used to make purchases in US dollars, please click here(paypal WebSite) for more information. I purchased these assets in the Asset Store, but how can I use them in Unity? You can directly import the asset from the purchase screen to your current Unity project. Once purchased, click the import button displayed on the Asset Store screen and the asset will be imported into the Unity project currently open. Do you have any free assets available or are they all pay? Currently, our Ornamental Flower Set is a freely distributed asset. We plan to offer new free assets every 1 – 2 months. By all means please take advantage of this. 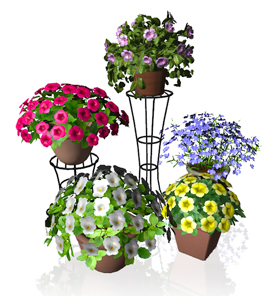 Currently, the Ornamental Flower Set can be downloaded from the Unity Asset Store for free.